There should be no argument that we live in a diverse world, and that the technology industry doesn’t reflect that diversity. The lack of diversity in employees makes it very difficult for companies, both in and out of the tech market, to address their increasingly diverse customer base effectively, whether buyers or end users. Technically Wrong, which point to why companies can’t bring out products that women love. They don’t understand women — let alone the other aspects of what generally, and especially specifically, make each of us different. I’ll address diversity in its broad sense this week and why it is critical we get this right. 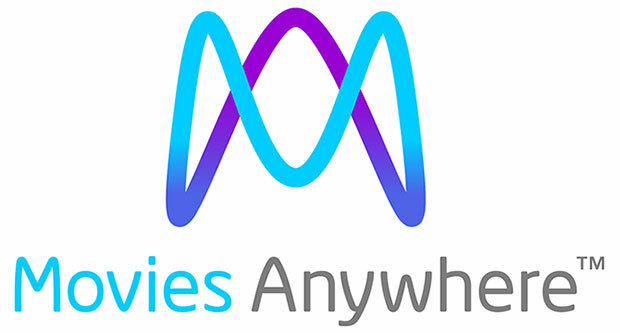 I’ll close with my product of the week: Movies Anywhere, a tool that bridges your movie streaming sources. Generally, I tend to break down the diversity landscape into two camps: the liberal camp that wants diversity but doesn’t want to spend the time either to understand the problem or truly correct it; and the conservative group that is threatened by anything that breaks convention. Because I tend to believe that if you don’t want to do something well you should leave it alone, I tend to favor the conservative camp, but I would like a third choice: diversifying properly by focusing on the causes of the problem, not the optics. For instance, soon after the development of a technology that would help students pick careers they would be most successful in, it was killed due to discrimination. The reasoning was that too many of the targeted students were attended colleges, and colleges didn’t have enough diversity. Thus, pulling from a pool of employees that wasn’t diverse would result in solutions that weren’t diverse either. This is what I mean by focusing on the optics of a problem — making the workforce look more diverse — without focusing on the problem itself. There was, and continues to be, a shortage of candidates from diverse backgrounds with the appropriate training for many job openings. Four companies stand out: Dell, Cisco, HP and IBM. These four large firms each have very different approaches to focusing on this problem. Dell puts a massive amount of effort on women in technology, and the most powerful woman at Dell, Karen Quintos, has been spearheading this effort along with the company’s female Entrepreneur in Residence. It is interesting to note that there isn’t a lot of overlap between these different company efforts, suggesting that any one company likely could undertake all of them. I’d argue that most are necessary to address the diversity problem fully. These differences allow us to see things from a variety of perspectives; make us better able to talk to, influence (and sell to) a diverse customer base; and help us gain understanding of views we don’t share. Diversity represents the future of the human race. We all should become involved more actively, or look for another planet to migrate to, because if we don’t become more diverse, we are even more likely to destroy this one. Most of the movies I own were purchased from Amazon, but Amazon doesn’t allow you to download them to watch on your PC later. Instead, it focuses on iOS and Android. Now what many folks don’t know is that Microsoft often gets early access to movies, but playing those movies on the TV is problematic unless you have an Xbox. Justice League vs. The Fatal Five video on the Microsoft store before Amazon or Netflix had it, but getting it onto my TV was problematic. Movies Anywhere fixed this. You can buy movies from this service, but its real claim to fame is that it links services together. If you bought movies from Google Play, Amazon Prime Video, Vudu, Xfinity, Microsoft, Fandango or iTunes, you can bridge all of these services and get your movies from any of them. backed by Disney, which means you should be able to trust it and it likely will get great Disney Content over time, on top of the other advantages.